In a passionate appeal to “misguided” Kashmiri youth, Prime Minister Narendra Modi urged them to shun violence and return to their homes to live a life of dignity and peace. 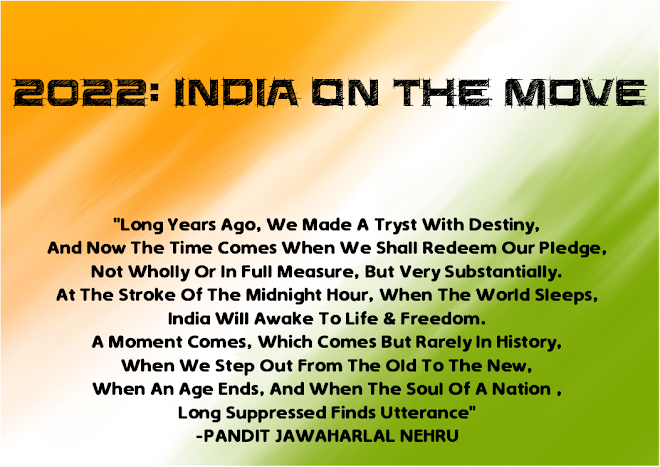 “Every stone or weapon picked up by the youth of J&K is only meant to destabilise this state and the country. 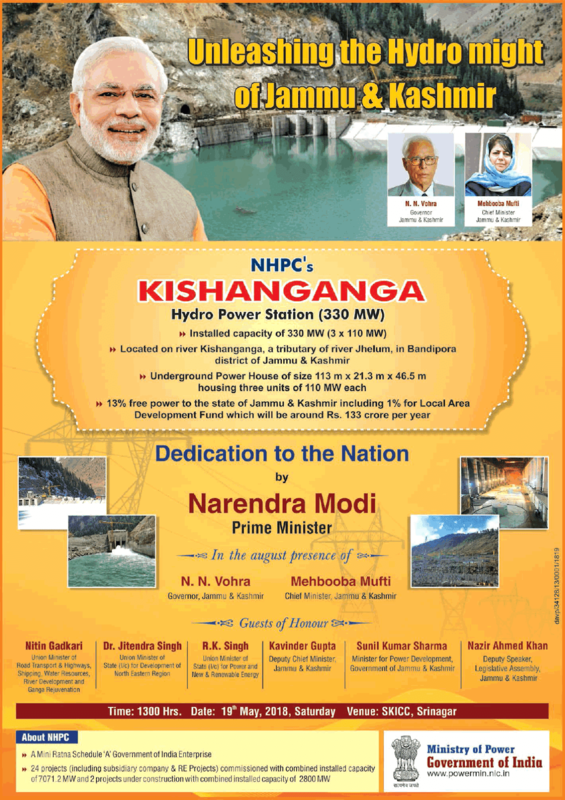 My appeal to these misguided youth is to return to the national mainstream, which is their own family, and participate in the development of the state,” he said after inaugurating the 330-MW Kishenganga hydel power project and pledging development initiatives worth Rs.25,000 crore for the state. Three days after his government announced a unilateral suspension of combat operations against terrorists in Kashmir, the PM, at an official function in Srinagar, said the initiative had been taken to provide relief to the people of Kashmir during the holy month of Ramzan. “This will also help expose those who have been spreading terrorism in the name of Islam,” he said, adding that there were vested interests that did not want to see a prosperous J&K. Without naming Pakistan, the PM said, “Friends, we need to respond to these foreign powers by keeping our march towards prosperity going.” The state government and the Centre, he said, were striving hard to bring into the mainstream “the youth influenced by false propaganda of a foreign power”. People who have been engaging in creating a wedge between J&K and the rest of India were “on the verge of extinction”, the PM said. 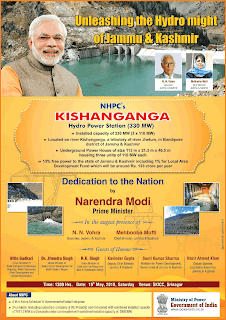 Modi asserted that like former Prime Minister Atal Bihari Vajpayee, he too believed in the idea of Kashmiriyat. “I have said it earlier, neither abuses nor bullets will solve the Kashmir problem. I believe the only solution is to embrace all Kashmiris,” he said, iterating his Independence Day address at Red Fort. Last year, he recalled, he had spent his Diwali with soldiers in north Kashmir’s Gurez. “Today I am among you during Ramzan,” he said. 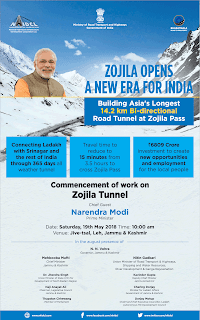 The Prime Minister also laid the foundation stone for the 42.1-km four-lane Srinagar Ring Road which will link Galandar in west Srinagar to Sumbal in Bandipora district. 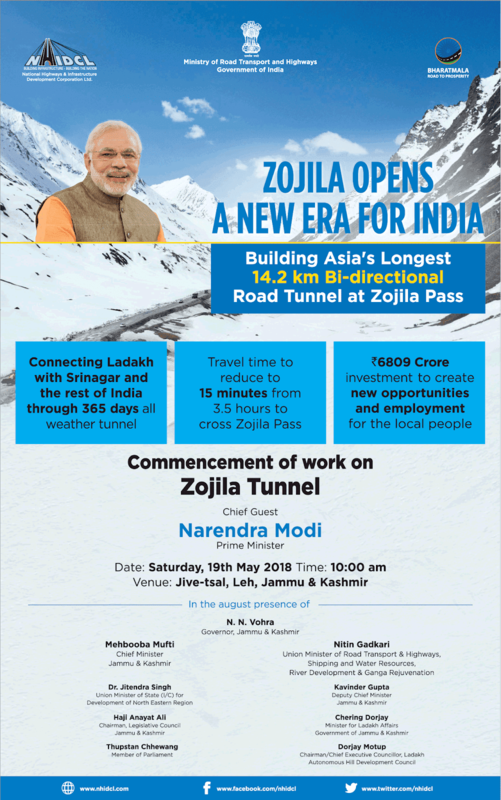 Earlier in Leh, he launched the construction of 14-km Zojila tunnel to provide all-weather connectivity to Ladakh region.